Today’s special is Ron’s Reuben Remix! 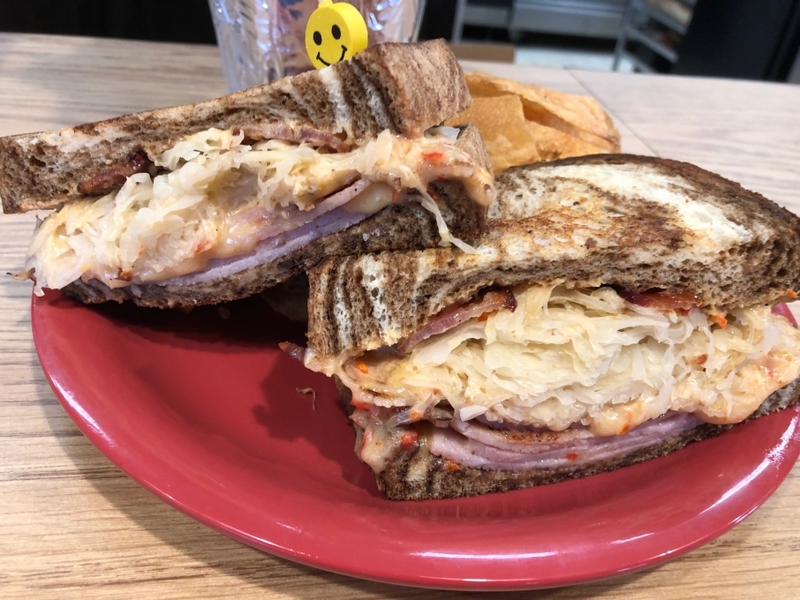 We have grilled ham topped with applewood-smoked bacon, peppadew cheddar cheese, sauerkraut, and a Mad Sweet Heat Candied Jalapeno & Peppadew Thousand Island dressing, served on toasted marbled rye bread with a side of our Deli chips for $8.75! Soups today are Fiesta Tequila Chicken, Loaded Baked Potato, and Tomato Florentine, as well as our traditional trio of Chili, Chicken Noodle, and Lobster Bisque.